We are well into summer temperatures, but most people still want to enjoy their backyards as much as possible during these warmer months. Whether you are hosting a party or just have your kids or grandkids enjoying the pool, sitting on the patio is a classic part of summer relaxation. Koolfog patio misting systems make the outside more enjoyable in our desert weather and can also help keep your patio bug free. 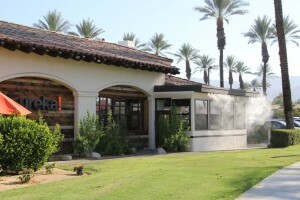 For businesses in the Coachella Valley, it’s vital to find ways to continue to attract customers during the hot summer months. Adding patio misting systems can make a significant difference for the comfort of guests by lowering the ambient temperature up to 30 degrees. 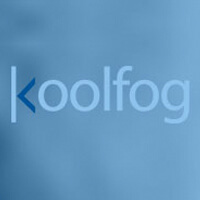 Koolfog has worked closely with many local businesses to create patio misting systems custom-designed to their space for optimum cooling and aesthetics at each establishment. Did You Know We Provide Misting System Winter Service? The thought of misting systems usually conjures images of warm summer days and relaxing by the pool, so why are we talking about them now, in the winter? Luckily, misting systems generally require minimal maintenance, but taking care of them in the cold months will help assure that they will be ready to go when the heat comes back. 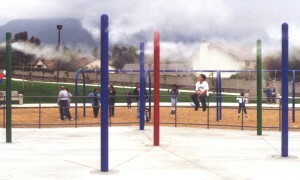 Coachella Valley Misting offers misting system winter service to help extend the life of your misting system. As the temperature has reached record highs recently, you may be thinking that you’ll just stay inside all summer. However, did you know that a patio mist system can make a noticeable difference in the temperature and enjoyment of your outdoor space? 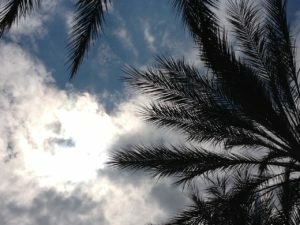 Coachella Valley Misting, a Koolfog site dedicated to the Coachella Valley, offers a range of solutions to add comfort and value to your patio. 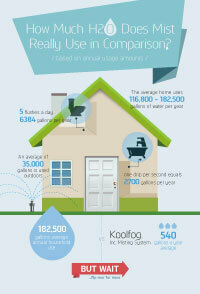 Water usage concerns are valid, especially if you reside in California. But how much water do high pressure misters use in comparison to other forms of water consumption? Accidental discoveries have led to incredible innovations. Things like microwaves, misting, mauve and even x-rays were all practical accidents waiting to happen. To ready ourselves for the impending hot weather, we’ve decided to gather a list of accidental discoveries that are directly related, or kind of related, to misting. In an effort to decrease the expansion of a gun barrel after firing multiple times, a gentleman named Harry Brearly began working to make a steel alloy that would resist the erosion produced by multiple bullets exiting a gun barrel. After failing numerous times, one of his samples began to shine brighter than the rest. Literally. With this accidental discovery of stainless steel, we now have the material used for our misting atomization and distribution lines. Alright, this may be a stretch, but stick with me (puns intended!). Originally intended to be a cleaning product during the era of coal based heat production in homes, the original play-doh (although it wasn’t called that yet) was used to rub the soot off of wallpaper. Soon thereafter, natural gas began to replace coal and people did not need their wall paper cleaning product anymore. The company who invented it, Kutol, was going bankrupt and there was no solution in sight. Until children saved the day. A teacher in early 1950’s began using the material as modeling clay in her classrooms. And now we have play-doh. Now we have play-doh for the children to play with, as we sit with our families on our back patios, enjoying the outdoors even during the hottest times of year. 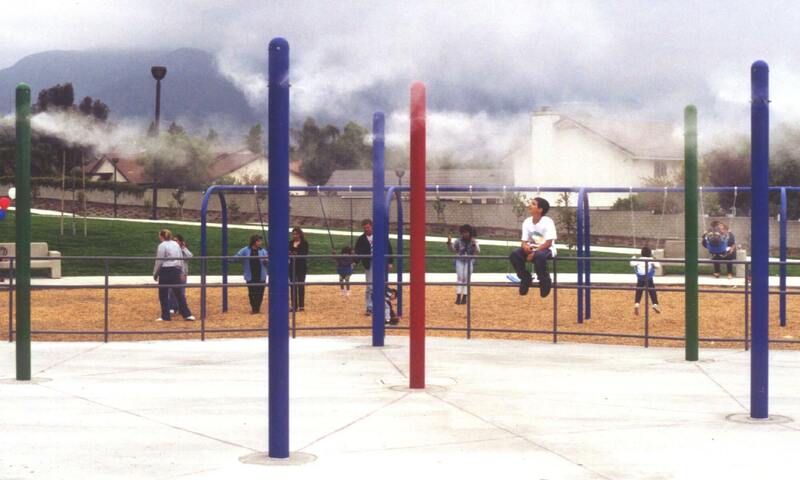 Misting systems allow us to be more family oriented, more outdoor friendly, more available for moments of connection. Like making animals using play-doh with our children or grandchildren. 11 year old Frank Epperson was a forgetful boy. Inventive, but forgetful. One chilly evening in San Francisco in 1905, he made himself a soda-like drink by mixing powder and water together with a spoon. He sat outside on the porch enjoying it but left it outside, unfinished. The next morning, he found the frozen water with the spoon stuck in the middle. He took it out. He licked it. It was delicious. End of story. ‘Cause there’s nothing like a popsicle outside, underneath a misting system, to cool down after a hot day. The rules are, “No eating ice cream cones inside.” Without cones, there would be no cream of ice. No dripping, sticky mess that requires hoses and giggles. 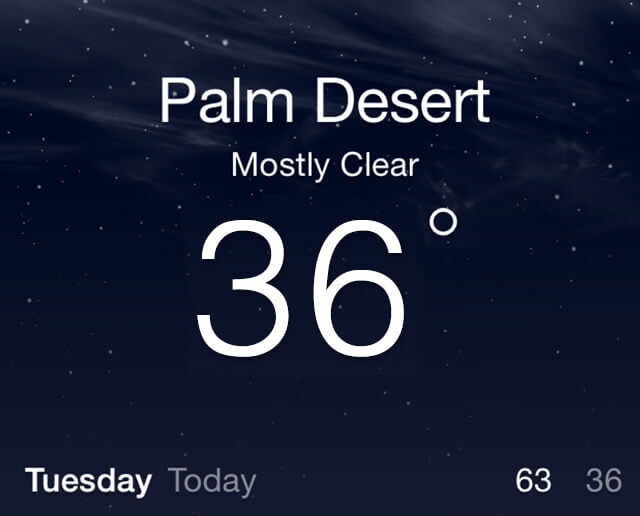 And without a misting system in the desert heat, it’s likely you’ll forgo both and stay inside. Don’t risk missing out on moments like these. Misting systems did not necessarily emerge from an accident. But one of the uses did. Traditionally used for cooling and fog effects, environmental awareness of the adverse effects of particulate matter begged for a cleaning solution. Enter, mist. Due to the surface area of the atomized water particles and the natural cleansing properties of water, running your misting system essentially cleans the air around you. Misting isn’t just a luxury item. It creates environments where moments that might not happen, can. It is for making memories. It is for air purifying.